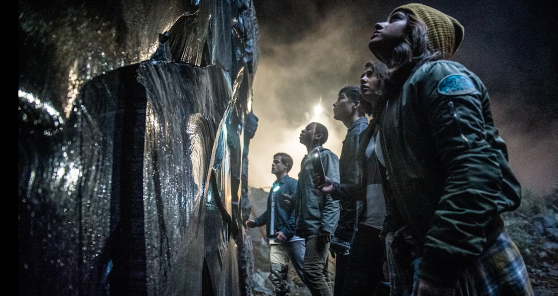 POWER RANGERS Teaser Trailer is up, and it looks COOL!! Wow, talk about going dark! I can tell it’s going to be more of a mature vibe, but not overly dark in tone. Visually it has that Chronicle meets Breakfast Club look. What I REALLY like is that they took the original gimmick of “Teenagers with Attitude”, to making them outcasts, and troubled teens who end up becoming friends because they are in detention (or so it seems). What I’m noticing is that Rita Repulsa (played by Elizabeth Banks) is using her connection to the Power Coins and powers to get all Freddy Krueger on the Rangers when they sleep.